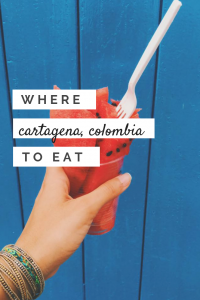 Trying to figure out where to eat in Cartagena, Colombia? Then you’ve come to the right place! Looking for a quick beach getaway that is more than just a lie on the beach? Cartagena, Colombia offers a picturesque town with fascinating history and mouthwatering seafood! One of my closest friends was considering moving down to Medellin, Colombia for a job after college. While applying she had me promise that if she was offered the position that I would come visit. 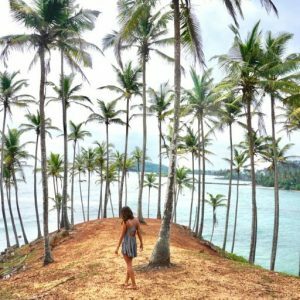 After my first trip down to Colombia I loved it so much that I came back again to visit only three weeks later. 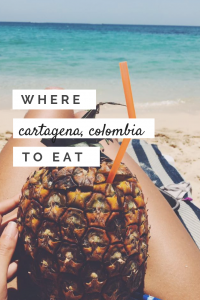 Although Cartagena is arguably quite touristy when compared to the rest of the country, this colorful city offers a nice beach getaway without the confines of the secluded all-inclusive resorts trickled throughout the Caribbean. 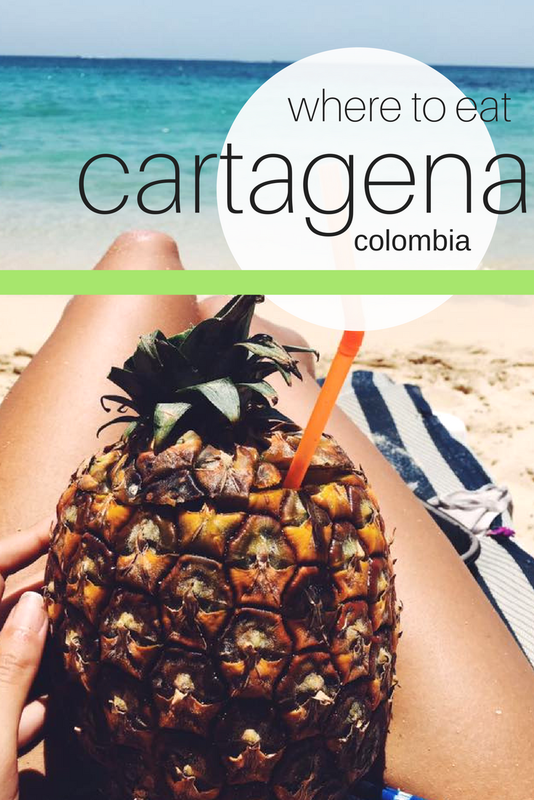 With direct flights from New York, Atlanta, and Florida, getting to Cartagena is both easy and affordable! However, once you arrive you’ll be on the hunt for the best spots to eat and drink! 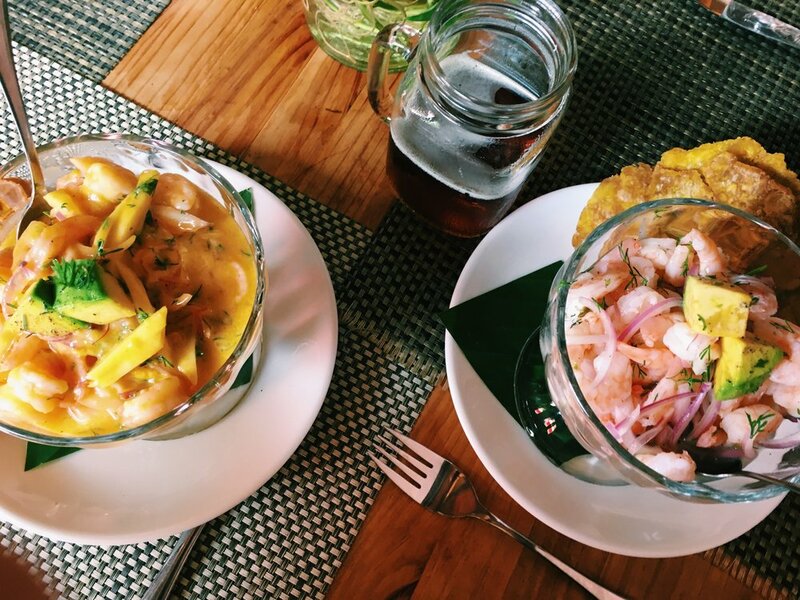 Easily spotted by the herds of tourists outside, La Cevicheria is considered by many to serve up some of the best ceviche in Cartagena. However, hiding in it’s shadow, just across the square, is a a smaller spot that is definitely worth a stop. Malanga seldom has a wait and offers delicious bowls of ceviche for about 7USD a bowl. Cartagena is both hot and very humid. 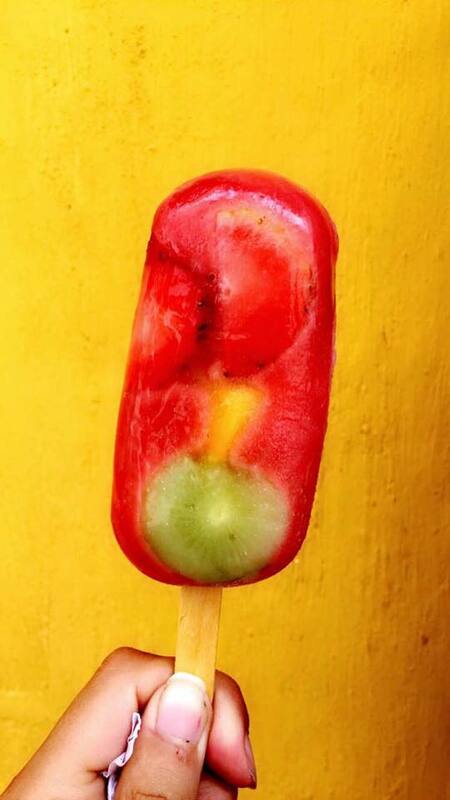 What better way to cool off than with homemade popsicles? This little shop serves up a large variety of fresh, fruity posicles to keep you refreshed! Known for its delicious pizza, Demente is a great spot for dinner and a drink. The beer garden with large, picnic tables are perfect for accommodating larger groups. Located in the Getsemani neighborhood, this spot is truly a hidden gem. The spot offers a variety of workout and dance classes, which unfortunately I did not get a chance to try, however there is a small bar in the backyard. The atmosphere is relaxed with great music! They also offer some of the best mojitos! 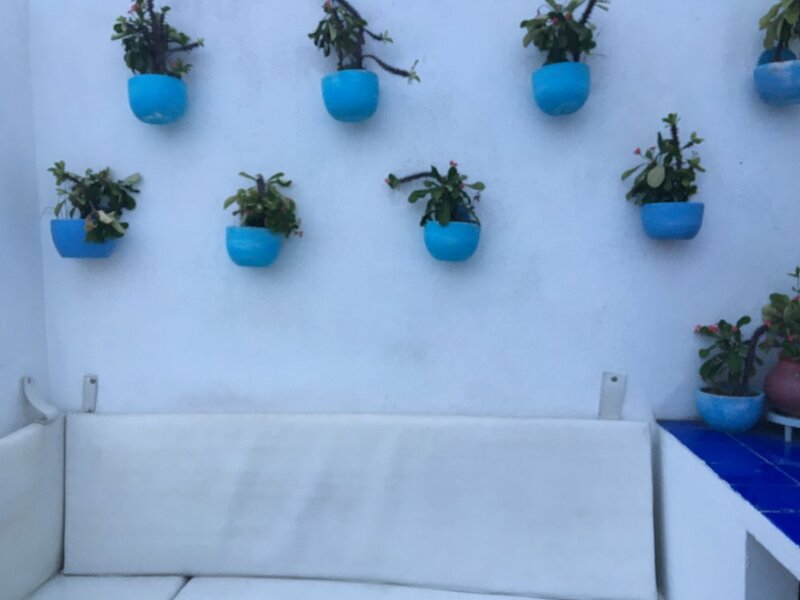 Malagana offers two of my favorite things – a rooftop bar and great happy hour deals! Two for one cocktails and a great sunset view, this is your perfect spot for pre-dinner drinks. Additionally, don’t be afraid to try to street food. Although perhaps not the healthiest lunch choice, I I purchased a fried ball of greatness at one of the beach vendor stalls – mashed potatoes, egg, and spicy chicken all fried up into a large ball! It was so delicious that I had to go back for a second one! 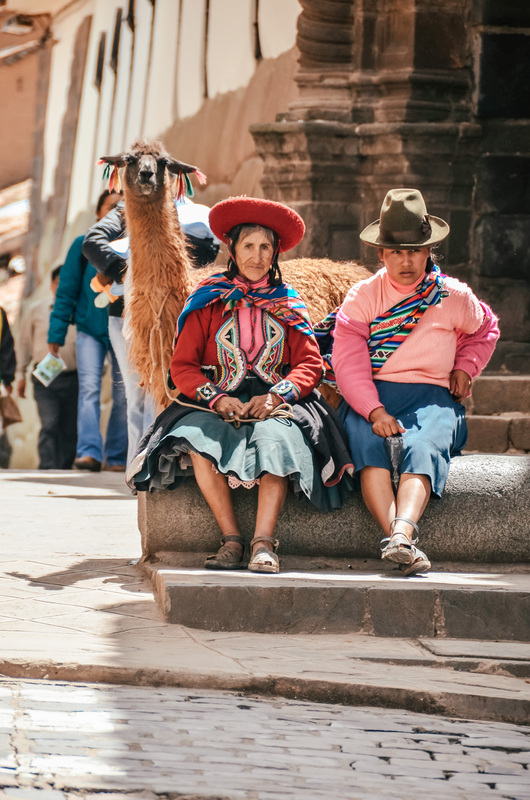 Also, make sure to head over to one of the many markets, or stop by one of the street stands, to sample all of the amazing varieties of food that Colombia has to offer! 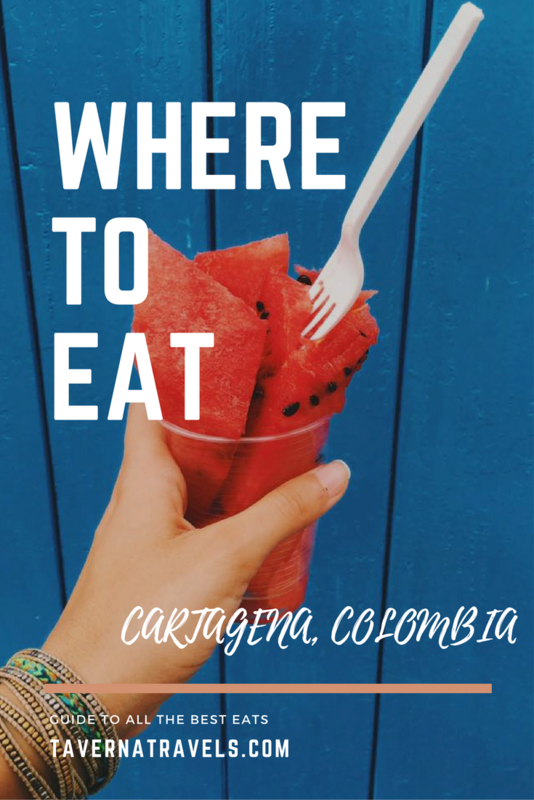 Like what you read about where to eat in Cartagena, Colombia? Make sure to Pin it for later!